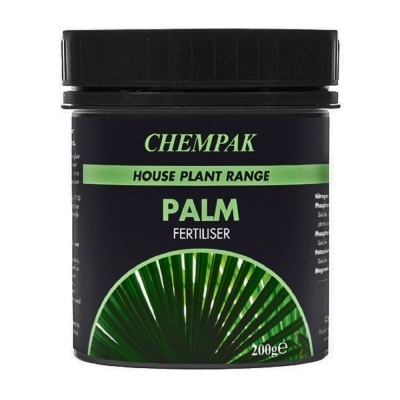 Chempak® Palm Fertiliser 200g - Provides the perfect plant feed for all indoor and outdoor species of Palms, potted or soil grown. Chempak Palm Fertiliser is high in magnesium and trace element levels, making this also suitable for ornamental grasses, bamboos and ferns. Soluble formula plant food applied by watering can at 1 measure per litre of water. Recommended to invigorate ornamental bamboo plants in outdoor or indoor containers.